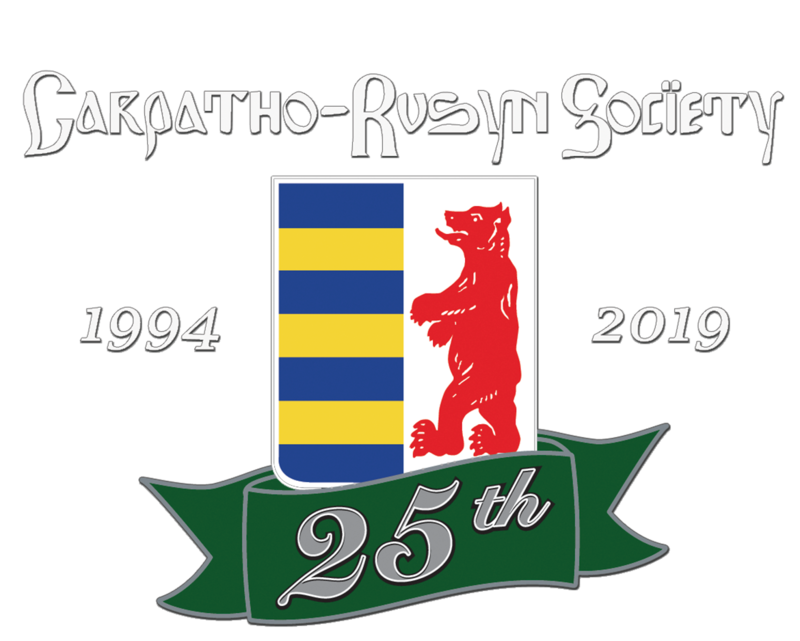 Since its founding in April of 1994, over 3000+ have joined to share the growing interest among Carpatho-Rusyn Americans to know more about their heritage and ensure its perpetuation. Membership is open to people of any cultural or religious background who recognize the Carpatho-Rusyns as a distinct people with a distinct culture. The organization issues a newsletter quarterly The New Rusyn Times, which includes information on Rusyn culture, religious and political current events in Europe, first-person travel experiences, aspects of colorful Rusyn customs and traditions, letters from Europe, genealogical research, special holiday recipes, reviews of folk arts and festival performances, where to buy tapes, CDs and videos of Rusyn songs, dances, customs, a calendar of Rusyn community events and Rusyn Heritage Radio program accessible world-wide via the internet. In addition, an electronic newsletter C-RS Connection is published monthly and is emailed to members. Various chapter events are also emailed to members on a regular basis. Upcoming and past events can be found on the C-RS website. You will also find a series of online membership directories where you can look up friends, family or just other members. Regular Membership - individual under the age of 65. Senior Membership - individual 65 or older. Two Person Senior Membership - two individuals 65 or older living in one household, i.e. spouse relative, roommate, etc. Family Membership - Two or more regular individuals living in one household, including children. Student Membership - Regular individual attending an institute of higher learning, full time. Group Membership - An independent organization, church, club, etc. Join online. Fill out the online application form below. Membership dues can be paid using a credit/debit card. This is the preferred method for joining and is completed instantly! Give someone a gift membership. Submit a gift membership application and mail to address on applications with dues payment. Access form hereNOTE: Gift memberships can not be completed online. (A) Regular - $30.00 (USD) Subscription period: 1 year No automatically recurring payments Member is under the age of 65. (B) Senior - $25.00 (USD) Subscription period: 1 year No automatically recurring payments Member is 65 or older. (C) Two Person Seniors - $30.00 (USD) Subscription period: 1 year No automatically recurring payments Two members 65 or older living in one household. (E) Student - $20.00 (USD) Subscription period: 1 year No automatically recurring payments Regular member attending an institute of higher learning, full time. (F) Group - $50.00 (USD) Subscription period: 1 year No automatically recurring payments An independent organization, church, club, etc.